Yes, the holidays definitely represented a "problem and pleasure" for people in "new and changing communities," though by the tasteful line art, we're guessing our late 60s progenitors leaned more towards the "pleasure" bit. "Hey baby, do you want to see the new shag carpet in my sunken living room?" Also, it's good to know that it was time to remember Lake Anne just a few short years after it rose from the primordial muck. Or perhaps "Remember Lake Anne" was a war cry after the good ole' boys in Herndon razed the first earth-toned settlement along the lake's shores. We'd have to read the article to be clear on that, but every time we tapped the headline with our thumbs, the article wouldn't open! Stupid 1960s technology. All in all, we'd give this early progenitor to this filthy "web log" a big thumbs up. 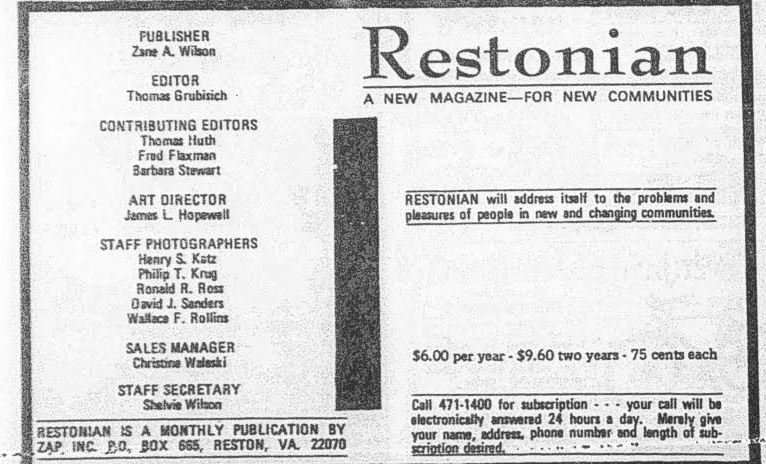 We're not sure, though, if it, like today's glossy magazine devoted to Reston, had a bitchin' word search. "Your call will electronically be answered 24 hours a day." Who knew all those scientists at Issac Newton Square managed to build an army of robot telephone operators? Maybe that's how pool passes were distributed back in the day, the end. 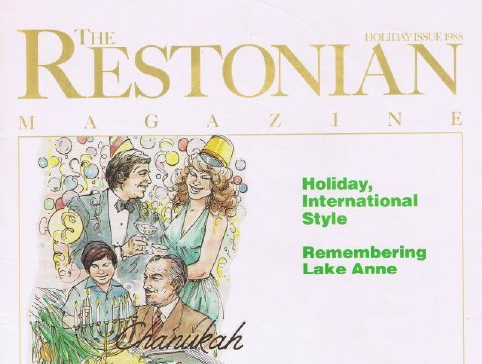 It looks like Restonians only celebrate New Years and Chanukah if the picture is to be believed. Looks like the War on Christmas started far earlier than we though.